†Results from two identically designed, Phase III studies. These were multicenter, blinded, active treatment-controlled, randomized, uneven parallel group, two-arm studies. A total of 243 patients were randomized at a 3 to 1 LEVULAN KERASTICK PDT to vehicle ratio. 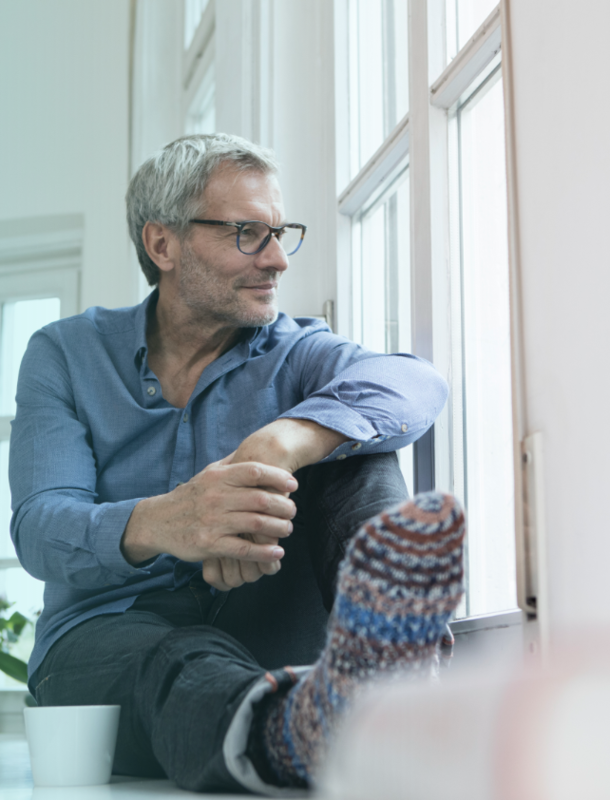 Patients returned for follow-up visits 24 hours after BLU-U light treatment and at Weeks 1, 4, and 8. Those patients who were not complete responders at Week 8 had retreatment of the persistent target lesions at Week 8. All patients returned at 12 weeks after the initial treatment. 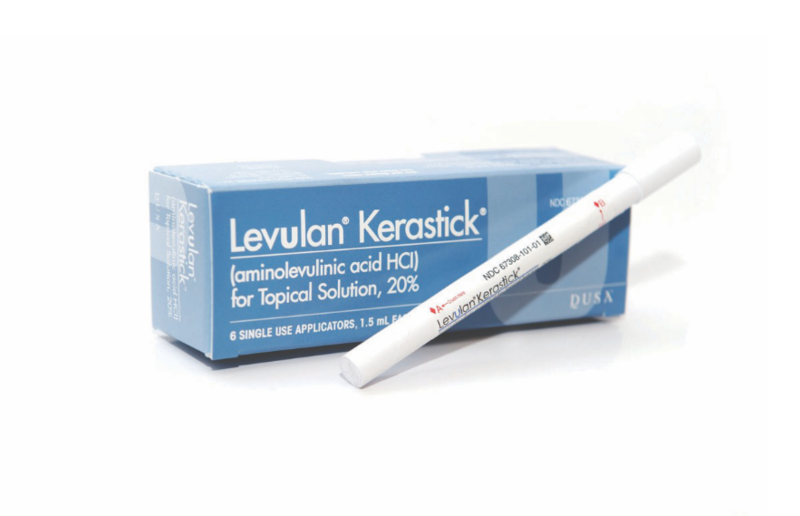 LEVULAN KERASTICK topical solution, 20%, is applied directly to target AK lesions of the face, scalp, or upper extremities by dabbing with applicator tip until all lesions are uniformly wet. If treating the upper extremities, cover the treated area in occlusive dressing. Treatment area commences incubation after application. 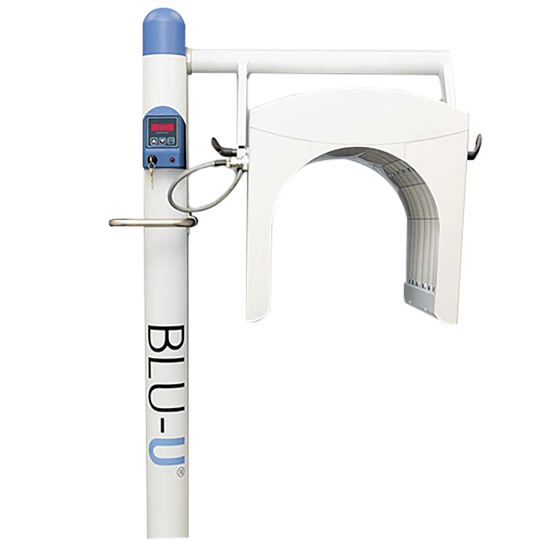 Following necessary incubation period, the patient returns for a 16-minute, 40-second BLU-U Blue Light Photodynamic Illumination. The lighting head of the BLU-U device can be rotated in order to cover the appropriate areas by adjusting the knobs on both sides of the unit.